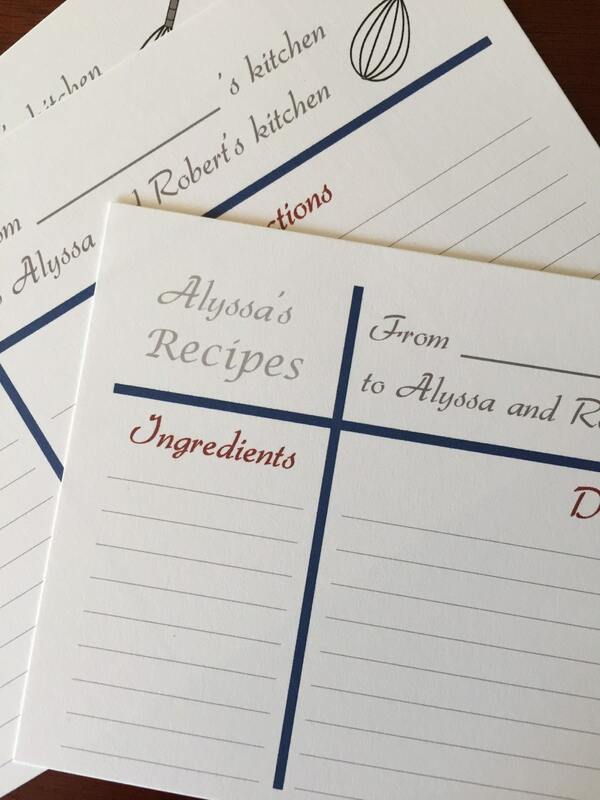 These Personalized Recipe Cards are a great addition to any bridal shower invitation! They are 5x7 in size. Guests will love sharing their special recipes and brides will love to make them! 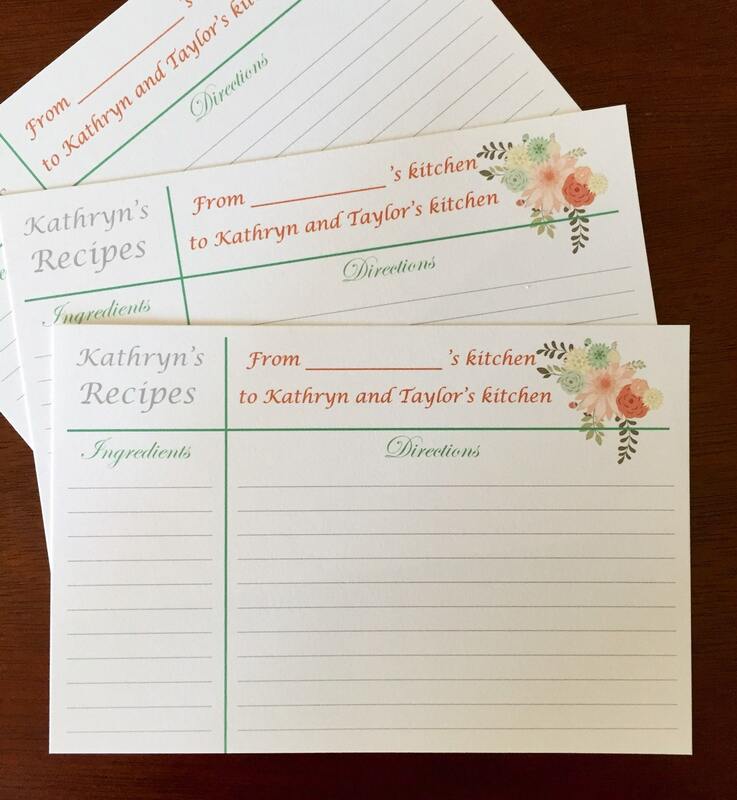 These recipe cards are made to order and include the Bride-to-Be's name on the top of the card. The recipe cards also include the Groom's name as well. 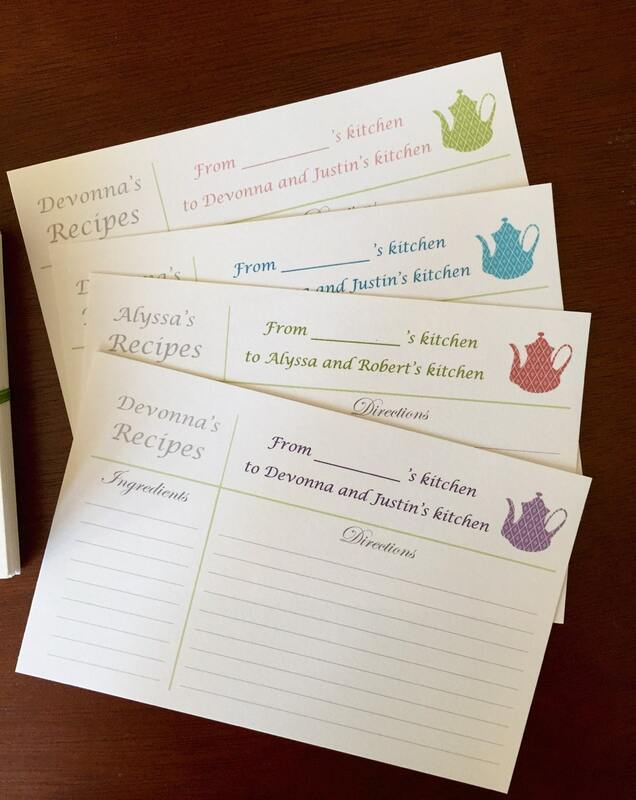 Recipe cards can be completely color customized. Just include color theme when you order. Include the following in the note to seller section when you checkout. A proof will be sent to you within 24 hours of purchase. Item takes 2-3 business days to complete and ship. I have quick turn around time and that's why customers keep coming back for custom items! USPS 1, 2, or 3-day priority shipping depending on location in the U.S. Tracking number will be sent to you when item has shipped. Recipe cards were super cute! These recipe cards are so cute and definitely worth getting. They will make a great addition to the invitations. I did have one complaint. I messaged the seller about a possible discount I saw from a message about a previous order and asked if I could get the discount even though I had already placed my order. She didn’t respond at all which I found odd since I know she saw the message and I totally would have understood if she couldn’t give the discount. 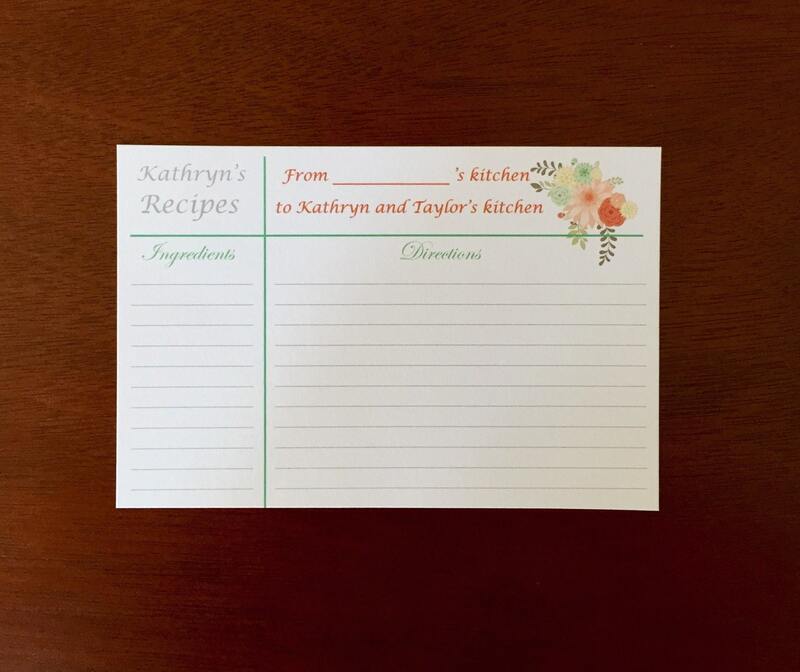 I purchased these recipe cards to put with shower invitations. They are very nice. Alyssa was wonderful to work with. The item shipped quickly. They came out perfectly! My sister will love these! Thank you! Amazing! 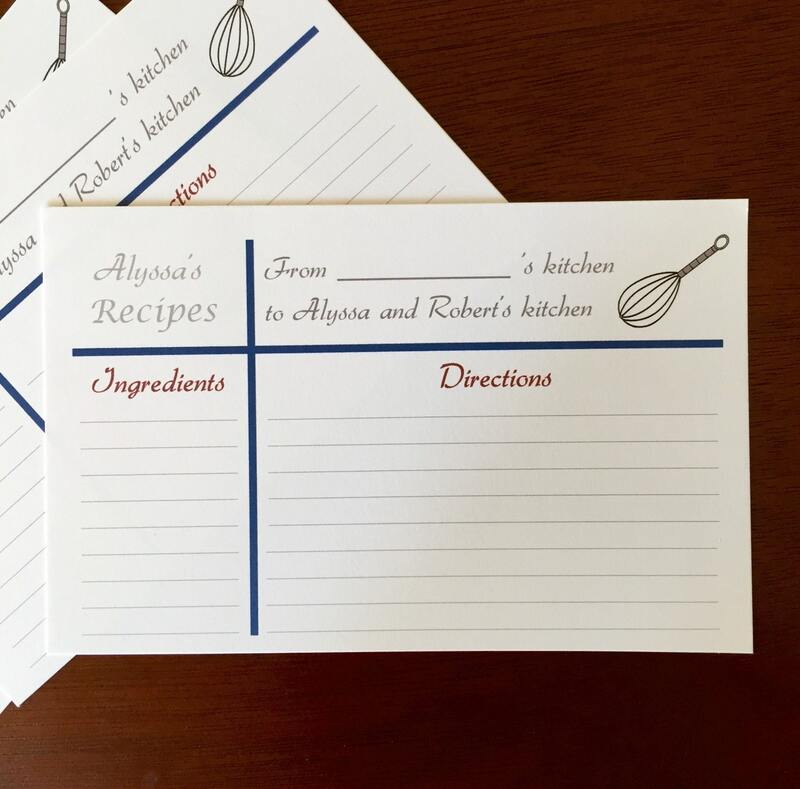 I decided to add these recipe cards after purchasing the invitations. It was the perfect touch for a bridal tea party. Thank you!